We live in a fast-paced world, and it just keeps getting faster. At AFL, our goal is not just to keep up with the fast pace of the tech world, but to stay ahead of the pace while not sacrificing accuracy or ease-of-use. 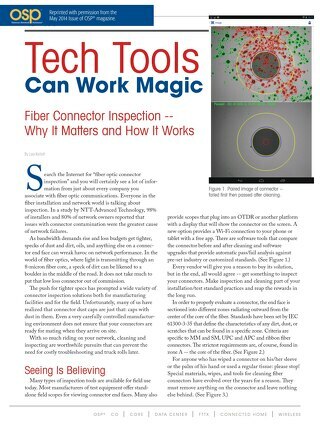 That’s why our product developers worked hard to create the FOCIS Duel Fiber Inspection System, purpose-designed to put your team ahead of the pace. FOCIS Duel is the world's first handheld, wireless, auto-focusing video microscope probe with two inspection ports. 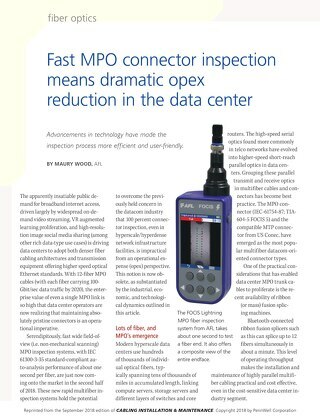 The first port features interchangeable adapter tips that support single and multi-fiber connector inspection for a wide range of patch cords and bulkhead-mounted connectors having either PC/UPC or APC polished end-faces. The unique second port is intended for patch cord subjective inspection tasks, with support for LC, SC, and other 1.25 mm and 2.5 mm exposed ferrules. The LC and SC (both UPC and APC) second port adapters are female “click-in” style, which hold the connector ferrule endfaces at a fixed focal point across numerous inspection runs, assuring the fastest possible throughput and highest possible productivity. The second port LC adapters are mechanically compatible with duplex LC connectors as well. 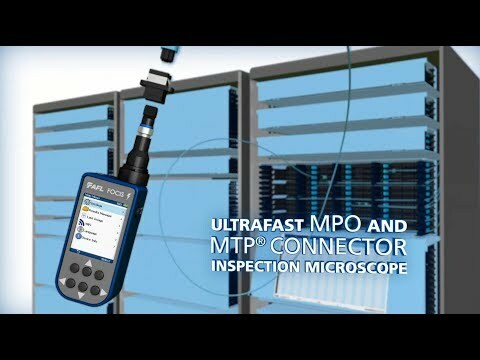 FOCIS Duel is the optimum handheld inspection tool for optical network installation, turn-up, troubleshooting and maintenance. This self-contained probe features an integrated LCD screen and Bluetooth® connectivity, enabling easily compatible with AFL’s aeRos® cloud-based workflow management platform. 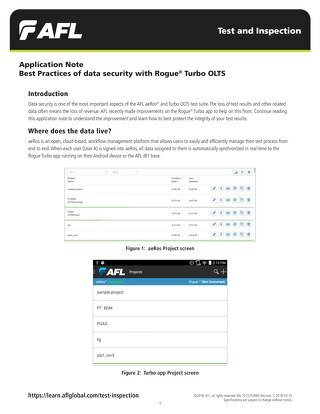 The AFL FOCIS app (there are both Android and iOS versions), supports the wireless connection between FOCIS Duel and your aeRos® system, and makes it easy to share inspection reports with coworkers. This mobile app also supports AFL’s award-winning FOCIS Flex inspection system. 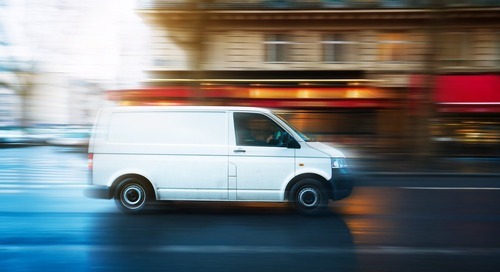 With the “need for speed,” operational accuracy can erode over time and ultimately cause network failure. 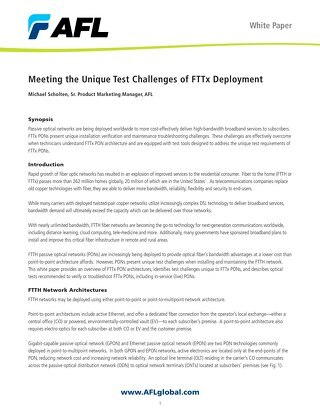 Approximately 80% of fiber optic network failures are related to contaminated connector endfaces, and downtime costs are increasing geometrically as fiber transport speeds leap ahead. 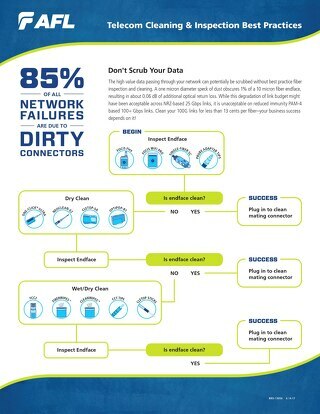 In combination with AFL’s cleaning tools, FOCIS Duel provides a solution to mitigate preventable networking outages and ensure optimal network performance by observing and documenting connector endface contamination and subsequent cleaning.  This small form factor tool really is an all-in-one solution. 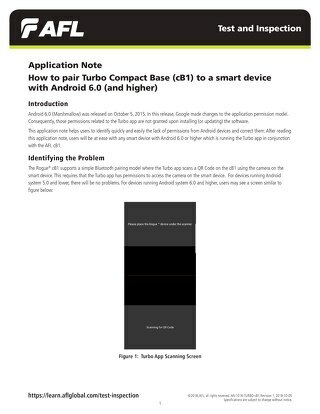 It is available with more than four dozen adapter tips to support every commonly used connector type. 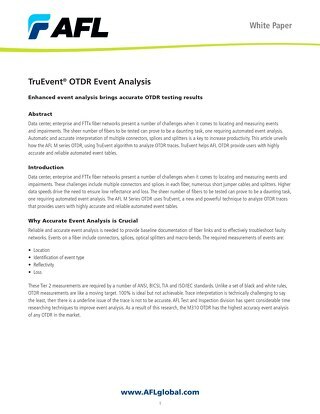 It completes field testing, IEC/IPC standard-compliant analysis, record archiving and network management. 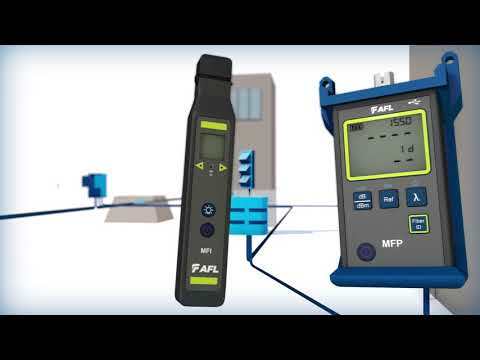 With all of that functionality in one handheld tool, the easy-to-use FOCIS Duel will significantly increase technician productivity, ultimately saving your team both time and money. Don’t just take our word for it – the CI&M Innovators Awards program recognized the FOCIS Duel with a Silver Level Award in 2018. 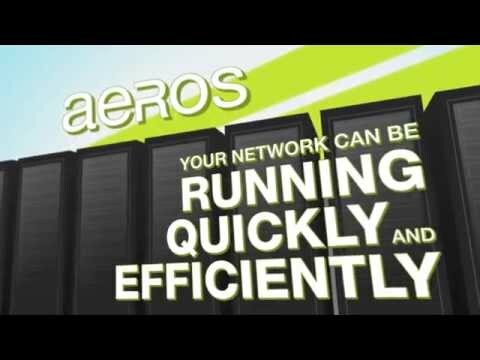 So pick up the pace and discover how AFL’s FOCIS Duel will improve your speed and enhance both opex and capex. Don’t keep losing valuable time you could be saving – ask your sales rep how you can get an AFL FOCIS Duel demonstration today. Maury Wood is a Senior Product Manager at AFL where he is one of the leaders on development of MPO testing, inspecting and cleaning solutions. Before coming to AFL, Maury consulted in digital communications technologies at both systems and semiconductor companies, spanning the evolution from dial-up modems through xDSLAMs and 4G wireless basestations to data center optical transmission equipment. 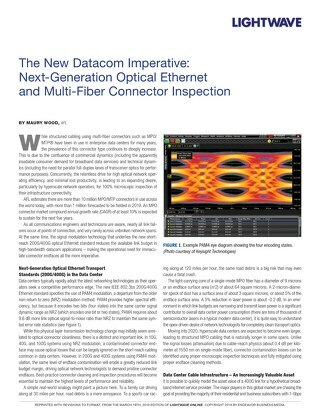 AFL’s innovative FleXpress fast OTDR test mode completes dual-wavelength network verification in less than 5 seconds per fiber. 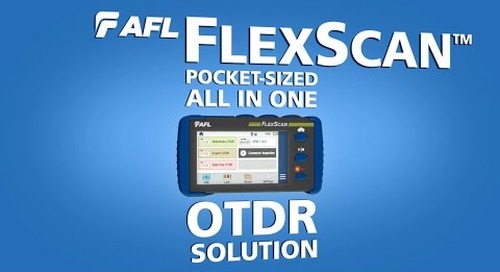 The AFL FlexScan OTDR, the world's smallest OTDR, offers technicians everything they need to locate and resolve optical network issues. NOW SUPPORTING PON or point-to-point networks.